UK: Folio Society, 2008. Five matching volumes in separate matching slipcases. Bound in matching blue illustrated cloth, stamped in gold and white. Great production -- five "unread" copies. . First Edition Thus. Hard Cover. Fine/No Jacket - As Published. 8vo - over 7¾" - 9¾" tall. New York, NY, U.S.A.: John Day, 1957. Previous owner's inscription to front free endpaper. Bound in yellow weaved cloth, stamped in blue. Dust jacket shows three tiny (< 1/4" ) chips to bottom edge. 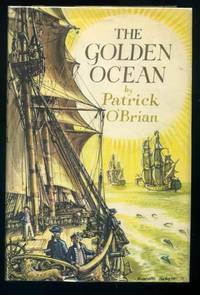 Overall, an unusually nice copy of this first U.S. edition of this early novel of the sea by O'Brian. 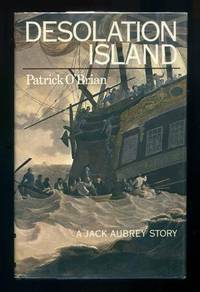 A pre-cursor to the Aubrey/Maturin series of books. First Edition stated on copyright page, and the dust jacket maintains the original price of $3.75. 316 pp. . First Edition. Hard Cover. Near Fine/Very Good ++. NY: Stein & Day Pub, 1979. Bound in black cloth and blue boards, stamped in gold. Housed in a colorful, nautical dust jacket. 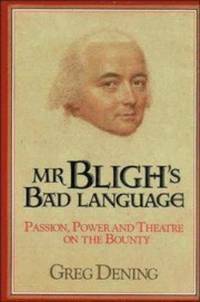 The first edition of this, the fifth Jack Aubrey book. Uncommon in this protected condition. 276 pp.. First U.S.Edition. Hard Cover. Near Fine/Near Fine. Washington D.C.: Government Printing Office, 1883. Bound in brown cloth with gold stamping. Ex-university library but uncirculated with few marks. Inscription and collegiate stamps on first two pages. Some minor staiining to bottom edge of a few pages. Many plates throughout book protected by tissue paper. 120 pp.. First Edition. Hard Cover. Very Good/No Jacket. 4to - over 9¾" - 12" tall. Houston: TGI, 2006. Sprial bound in stiff glossy wraps. A colorful 74 pp. guide book in oblong 8vo format. Beautiful color photographs throughout. . First Edition. Soft Cover. VG++/No Jacket. NY: Cornell Maritime Press, 1942. Some wear to dust jacket at spine ends. Overall, a tight, clean copy in dust jacket. 147 pp. reference book for ship officers, et al. . First Edition. Hard Cover. Near Fine/VG+. New York: Random House, 1970. Bound in blue embossed cloth, sans DW; 44 color plates, 305 monochrome illustrations; DW flaps laid-in; introduction by Uffa Fox; 256pp.. First U.S. Edition. Hard Cover. Near Fine/No Jacket. Oblong Quarto. Cambridge: Cambridge University Press, 1992. TIght, clean copy in price-clipped DW; 445pp.. First Edition. Hard Cover. Near Fine/VG+ Price-Clipped. Annapolis, MD: Naval Institute Press, 1980. Translated by Jack Sweetman; wrap-around DW painting by Thomas G. Webb; End-paper map; black & white photos; 290pp.. First Edition. Hard Cover. Near Fine/Near Fine. London: Frederick Warne, 1964. "The Observer's Pocket Series" No. 15; digest sized hard cover; revised edition; over 100 types illustrated in color and black & white; 160pp.. Revised Edition. Hard Cover. VG+/VG+. 32mo - over 4" - 5" tall. London: Constable & Co., Ltd., 1903. With the original dust jackets -- the dust jacket on the first volume shows some chipping and wear -- but the one on volume 2 is in great condition. Bound in blue cloth, stamped in gold. Some foxing and light stains to cloth on volume 1. A very acceptable two volume set of these 26 accounts -- primarily Elizabethan, taken from Hakluyt. From the "English Garner" series. pp. xxvii, 332; xxiv, 444.. First Edition. Hard Cover. VG+/VG Only. Boston: Little, Brown & Co., 1981. Bound in brown buckram, sans DW; previous owners Navel Institute book plate on front paste down; profusely illustrated in color and black & white; maps; 185pp.. First U.S. Edition. Hard Cover. VG+/No Jacket. 4to - over 9¾" - 12" tall. Annapolis, MD: Naval Institute Press, 1981. Thirteenth edition, second printing with corrections; bound in blue decorated buckram, sans DW; has front DW flap laid-in; illustrated in blue and black & white; 34 page color chart section; 910pp. A most handsome copy. . Second Printing. Hard Cover. VG++/No Jacket. Washington D,C. : United States Government Printing Office, 1947. Bound in dark blue buckram, sans DW; H.O Pub. No. 76, Hydrographic Office, U.S. Navy; black & white illustrations; some underlining and marginalia; fold-out map; 626pp.. First Edition. Hard Cover. VG++/No Jacket. East Reading, Pa.: Rieck's Printing, 1984. Bound in printed blue wraps; illustrated in black & white; maps; label residue to top of front panel; 78pp.. First Edition. Soft Cover. Near Fine/No Jacket. Pamphlet. La Marge, 1989. Lighthouse book with text in French; in glossy wraps; color plates; map; 64pp.. First Edition. Soft Cover. Near Fine/No Jacket. Golden, Co.: Outbooks, 1981. 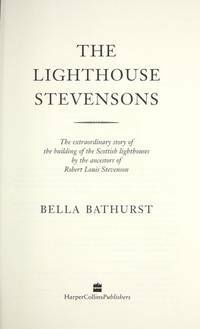 Plus three articles by Gustav Kobbe, "Life in a Lighthouse", Life on the South Shoals Lightship" and "Heroism in the Lighthouse Service"; ; illustrated in black & white; small book store sticker on rear panel; 64pp.. First Edition. Soft Cover. Near Fine/No Jacket. Pamphlet. Oswego, NY: Seaway Trail, Inc., 1989. 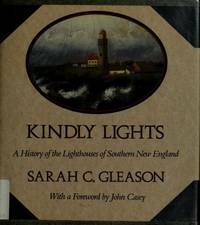 "Historic Lighthouses along New York State's Great Lakes, Niagara and St. Lawrence Rivers"; Color cover; illustrated in black & white; 63pp.. First Edition. Soft Cover. Near Fine/No Jacket. Illus. by KUSCHEL, Leo. Pamphlet. New York: Harper Collins, 1999. Illustrated in black & white; map frontispiece; 278pp.. First Edition. Hard Cover. Near Fine/Near Fine. Boston: Beacon Press, 1991. End-paper map, with legend; illustrated in black & white; foreword by John Casey; 175pp.. First Edition. Hard Cover. Near Fine/Near Fine.